The Fender Bass VI, originally known as the Fender VI, is a six-string electric bass or Scale Baritone Guitar by Fender. The Fender VI was released in 1961, and followed the concept of the Danelectro 6-string bass released in 1956, having six strings tuned E-E, an octave below the Spanish guitar. Its other ancestor was the Fender Jazzmaster, with which it shared many styling and technical details. Its body and electronics so closely matched those of the Fender Jaguar, released the following year, that in all but name the Fender VI was the first model of the Jaguar line released. It departed from the concept of the Fender Precision Bass not only in having six strings, but also in having a shorter scale and thinner strings. 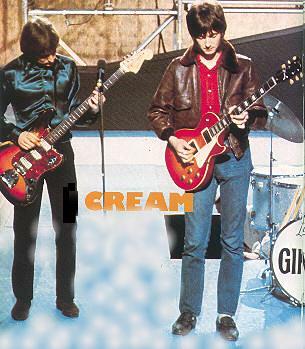 The original issue had similar body, electronics and whammy bar to the Jaguar (released in 1962), but three pickups as opposed to the two of the Jaguar. The third pickup was accommodated by using three pickup on-off switches rather than the more conventional three-position switch. Later a fourth bass cut (strangle) switch was added. Like the Jaguar, the Fender VI had a pronounced curve for such a wide fingerboard, which made them all tricky instruments to set up without buzzing, and required some adjustment of playing technique. The electronics and extra strings were ideal for a soloist, but in the 1960s few electric bass players played solos. The close string spacing and light strings might have made guitarists more comfortable, but were an annoyance to string bass players. In the late 1960s some artists used heavy guitar strings with resp. length and tuned the Bass VI to a baritone guitar from 'B to b' or 'A to a'. With this 'down and dirty' sound the Fender VI enriched 'Indo-Rock' bands with their unique Rock & Roll sound. One of those players was Reggy Tielman from the 'Tielman Brothers'. 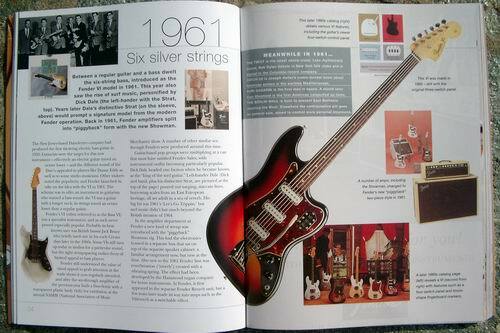 For whatever reason, the Bass VI never caught on to the extent that the four string Precision Bass and its derivatives did, even among surf music and country and western bands for which its tone colours would have seemed ideal. The original Fender VI, along with the Jaguar, the Jazzmaster and the Electric XII, has given a bound fretboard with rectangular block inlays in 1965 and 1966 - followed by a thicker black CBS-style headstock decal and polyester finishes instead of nitrocellulose lacquer in 1968 - before being discontinued in 1975.